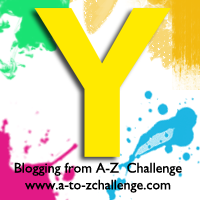 For the letter ‘Y’ I have chosen the colour Yellow. Keep reading to discover the symbolism behind this colour, see a piece of my artwork and some polyvore creations and listen to my ‘Yellow’ playlist! Yellow symbolises happiness and optimism-probably because it is the colour of sunshine. It is linked to friendship and yellow roses are often given to symbolise this. In China it’s also seen as the colour of glory, wisdom, harmony and culture. As the colour of light and brightness, yellow is also associated with knowledge and intelligence. It’s normally a positive colour, but can also be associated with cowardice, betrayal and duplicity. It’s the most visible colour, so it can symbolise attention-seeking or the need for caution. Plants and flowers: Daffodills, buttercups, sunflowers, silver wattle, northern wolfsbane, golden marguerite, common kidneyvetch, leapord’s bane, arrowleaf balsamroot, angel’s trumpet, foxgloves, echinacea, california poppy, crown daisy, common hibiscus, wall hawkweed, yellow flag iris, marsh ragwort, winter jasmine, yellow rose, rapeseed, goldenrod. Animals: Butterflies, some frogs and snakes, several birds (eg. canaries, yellow breasted chats, yellowhammers, yellow shafted flickers, yellow warblers, american goldfinch), some fish (eg. yellowtails, yellow fin tuna), insects such as bees and wasps. 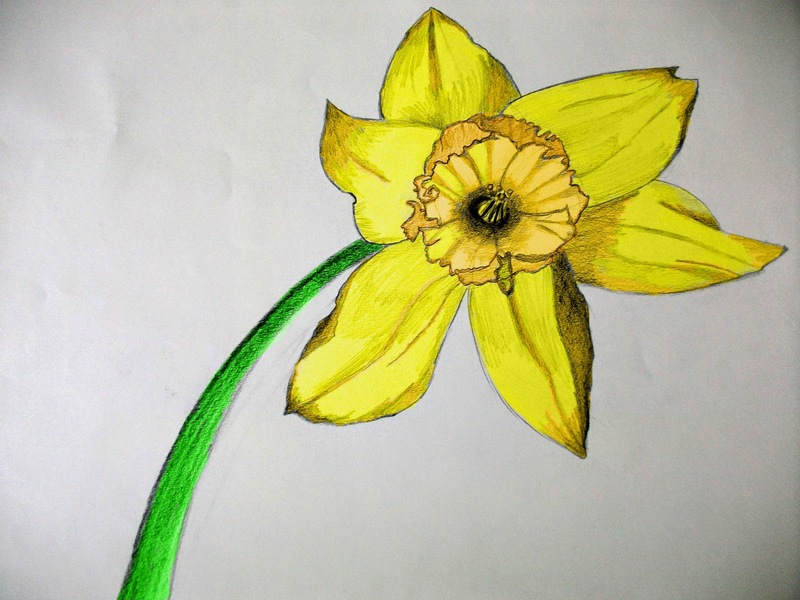 Today I’d like to share with you a piece of artwork I created back in 2011 of one of my favourite flowers, the daffodil. It always reminds me of spring and makes me feel happy. Are you a fan of the colour yellow? What do you associate it with? It's only really this year that I've gotten into the colour yellow – I bought a bright yellow jacket on impulse, and it's my favourite thing in my wardrobe! It makes me happy just to wear it :P. Purple and yellow together remind me of Cadbury Twirls ;). It’s only really this year that I’ve gotten into the colour yellow – I bought a bright yellow jacket on impulse, and it’s my favourite thing in my wardrobe! It makes me happy just to wear it :P. Purple and yellow together remind me of Cadbury Twirls ;).